AllState, best known for its mild-mannered commercials and provocative slogan, "Are you in good hands?" conducts an out-of-character but well-orchestrated PR stunt with the help of Leo Burnett. 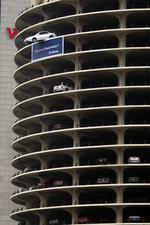 In the subsequent ad a man on a mission steals a vehicle and drives it surreally off the top of a Marina City parking garage in Chicago. And just when you're like "OMGWTFBBQ," that soothing meme of a tone takes over: "AllState. Are you in good hands?" 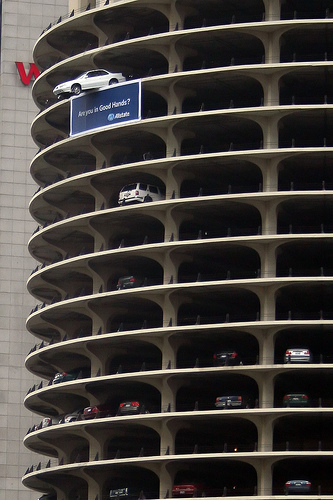 This print ad, where a Grand Am teeters precariously over the edge of that same parking structure, follows up on the idea. AllState, typically favouring the soberest of marketing stances, surprised us with this one. It's a little like God making a joke at our expense. We're sure they got some good buzz out of the deal and maybe even an account or two since people accidentally drive off narrow parking structures all the time. Dove Asks Users for Ads. Does This Even Count as Marketing Anymore? Dove hops on the consumer-generated-ad-contest hype (at this point we're trying really hard not to use the word "begging" for the 200,000th time), assisting would-be advertisers with a tutorial on Dove Cream Oil. The winning ad will air during the Academy Awards in February. Thanks Shawn for the news. Here's hoping another ad person doesn't win this one because the way everybody's beating this "campaign strategy" to death, we're obviously trying really hard to engage consumers here. Like, really, really hard. Either UPS has an extremely twisted sense of humor or someone forgot to do their homework. 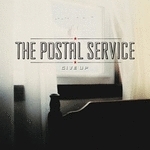 Adrants reader Andrew Teman tells us one of the commercials in the new UPS campaign features a song by the band The Postal Service which, after a dust up with the United States Post Office over its name, sells its CD on the USPS website. The The Postal Service and USPS in bed together, it does seem an odd choice of music to use in a UPS commercial. Are we missing something here? 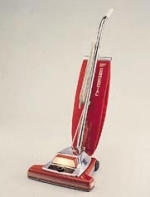 We all know traditional advertising is dead. We all know the traditional agency is dead. We all know agencies love to tell us that as if we didn't already know it somehow setting the one doing the telling apart from the rest when, in most cases, it's just words. Because, after all, when the blatherific, attempt-to-differentiate pontification is brushed aside, everyone does the same thing: make ads.But, somehow, we like this "we're different" promotional video for new agency Tattoo Projects which has done recent work for Dodge, Charles Schwab and Midwest Airlines. AdFreak wonders if this "top secret" Ford Ranger ad which popped up on YouTube yesterday will make an appearance in this year's Super Bowl and whether or not it is even intended to run in the U.S. We think not. Predictably, the YouTube user that uploaded the video is new and the video is the only one in the member's profile. The member is also from Portugal which means the ad could be a commercial emanating out of that country or it could mean nothing at all. One commenter notes the truck's steering wheel is on the right side, a pretty clear indication this is a non-American ad. And the tagline at the end of the ad, "Make Every Day Exciting" is one we haven't seen before. Guess we'll just have to wait for the press release for more details. Oh, and can we stop with the ridiculous pickup-truck-in-peril scenarios that, clearly, no truck could ever escape from without massive damage or water-induced stalling? But wait, it is kind of a cool ad isn't it? AdTunes, the site that tracks music used in advertising has highlighted what it believes to be the Top Ad Music of 2006. From the odd combination of that haunting Gary Jules rendition of Tears for Fear's Mad World featured in the movie Donnie Darko with a Gears of War commercial to that elevator music-ish tune by Royksopp called Remind Me featured in the Caveman Geico Airport commercial, the list brings together some of the best musical choices of the year. The Presidential Office of Colombia, known for its heavy-handedness in rumour if not in actuality, turns to humour to explain why people should avoid cocaine. The 15 second ad says "Cocaine is addictive. Very addictive." We suspect this may not be true as we've been snorting at least 7 years and can quit anytime. To drive the point home, a man on a bus leans forward and snorts the dandruff off the shoulder of the man in front of him. The ad generated a grade school reaction. We all went "EWWWWW!" and jerked our knees up. Then we watched it again. And again. And again. 500,000 watches later, we are still going "EWWWW!" and showing all our friends, who don't seem deeply impressed, then we all snorted cocaine and laughed over the thought of psychos snorting dandruff. Doesn't the Presidential Office know anything? You need a credit card and a flat surface to snort cocaine. Coke capital of the world indeed.